We offer quality and reliable appliance services and repairs in the area. If your noisy washing machine is rattling your nerves or your aging refrigerator just won’t keep its cool, it’s time to call Larry’s Appliance Repair. 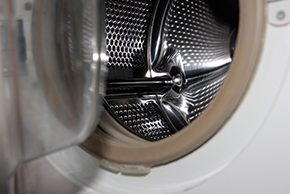 Larry’s Appliance Repair provides top quality appliance repair services for the Wichita, KS, area. We provide swift, quality work that our clients can depend on. You depend on your appliances to be fully functional to get you and your family through the day. Malfunctioning washing machines, dryers, and dish washers cause headaches and create major disruptions in your routine, while a broken refrigerator or freezer can create health risks through spoiled food. Furthermore, leaking appliances can cause property damage and contribute to the growth of mildew and mold. If you have an appliance problem, it’s imperative that you call a professional to take care of it. If some people try to ignore a malfunctioning appliance, others are tempted to just chuck the offending machine and buy a new one. While appliances do occasionally need to be replaced, getting rid of your refrigerator simply because it’s not working is a costly mistake. Appliances are meant to be solid, long-term investments, and most malfunctions affecting them can be readily repaired by a trained professional with the right equipment, saving you huge amounts of money. With one call to Larry’s Appliance Repair, you can save yourself both trouble and expense. We do quality work on all kinds of household appliances, including refrigerators, freezers, ice makers, washing machines, dryers, and dishwashers. Whether your machine is making a mysterious, disturbing sound or is completely kaput, our friendly, trustworthy technicians will arrive quickly to diagnose the problem and implement a solution at a price you can afford. When the machines your household relies on break down, call the repair team you can trust. Contact Larry’s Appliance Repair and get your appliances up and running again today.